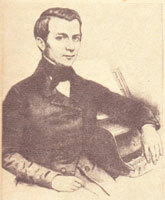 Aleksander L’vovich Gurilyov (22 August 1803, Moscow – 30 August 1858, Moscow) was a Russian composer, pianist, violinist, violist. This entry was posted in Gurilyov, Aleksander, Piano, Romance and tagged Aleksander Gurilyov, For Voice and Piano, Music score, Piano, romance, Sheet music on 04.02.2018 by admin. This entry was posted in Gurilyov, Aleksander, Piano, Romance and tagged Aleksander Gurilyov, For Voice and Piano, Music score, Piano, romance, Sheet music on 03.02.2018 by admin.